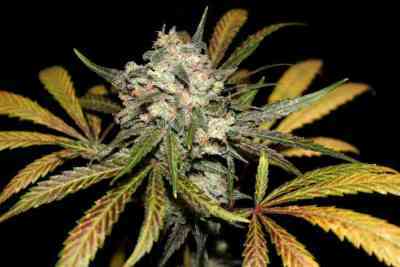 The Big Low genetics (F3) of February ’09 is the original 100% Autoflowering Feminised Giant.. Obtained selecting and crossbreeding the best genetics from 3 generations, testing the Epigenetic Theory. In the right conditions it looks like a normal strain, due the Big size to be an Auto-Flowering. The Big Low is stable, exceptionally vigorous, aromatic and strong, is one of the most fruitful. Medical. Big Low appears in 2 phenotypes, one with a more sativa appearance that grows to 1.50m and the other more indica grows to 75cm. Indoors, with 18/20 or more hours of light per day, flowering starts on the 21° day and they will be ready to harvest on the 60th day after germination. Outdoors they will need a few more days, dependent on hours of available sunlight. Multiple harvests per season are possible. 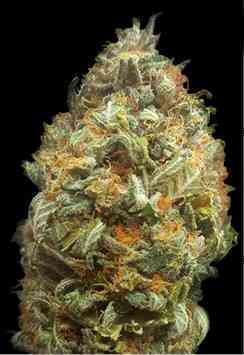 They’re well branched with compact buds and always full of resin. Very nice fragrance that is sweet, fruity and citrusy. Type : Giant AutoFlowering Female. Genetics : Indica/Sativa 70/30 . Height : 1,50m Outdoors ; 1,20m Indoors. 65 days from seed 2,5/3,5 oz./ Plant (70/100 gr) Outdoors.